Even the most economically challenged of households has no less than two television sets or electronic devices for streaming television and media. Media is vital to the spread of information. However, media is entertainment, and just because it is popular doesn’t mean that it is a correct representation of how a group of people thinks or acts. In the past year, this has been a hot topic, especially in the transgender community due to shows like Transparent, produced and aired on Amazon, which won two Golden Globe awards. As a member of the transgender community, I believe Transparent has come a long way towards bringing some of these issues to the mainstream, but I teeter and totter on my take on this show. I believe the creators attempt to give a more responsible and honest portrayal of transgender characters, but does it actually meet the mark? Many non-transgenered people I’ve spoken with believe the central character’s portrayal is fairly accurate of the “trans experience” but after I have one of these conversations, I am left to wonder how someone who is not transgender can know if a portrayal of a transgender person is “accurate.” I don’t mean that in a condescending way, but rather that it is indicative of the fact that the media has quite a ways to go towards accurately reflecting the reality of transgender life, and Transparent is just a step along that path. .
Not all trans people would agree, but that doesn’t mean that individuals within the community don’t enjoy the show or view it as a positive step toward a more accurate portrayal than other media attempts in the past. Not all of us will agree on what is positive or what is negative or what might be problematic. I transitioned over 25 years ago, and what I found problematic 25 years ago is not even considered as an issue in any regard in terms of a young person transitioning today. By all the reading and back and forth with Twitter and other social media, it seems to be that the larger opinion of the trans community is “against” Transparent rather than for it. As I mentioned, I’m torn. Part of that comes from the eternal hope that yes, some things actually do get better with time and that while the attempt with this show might fail in many transgender eyes, I come from a time and place where no one would even know what the word transgender meant, or if they did, they would want to either send you away to “fix you, so you didn’t have those kinds of thoughts and pray for you to be healed” or completely cut you out of their life, never speaking to you again, or, maybe, if they saw you walking down the street, they would cross to the other side of the road for fear they might touch you and catch what you have. True story. So, while in theory I see what many of my community view as still not an accurate representation…I am not as harsh, I suppose because I see how far we have come that being transgendered is portrayed in any positive light at all. While I am glad the show brings to light transgender issues, what I do find disappointing is that Transparent doesn’t focus on our issues, but rather the fear of having to deal with someone in your family or close to you being transgendered. The further decline has come in recent weeks of course with the show’s writer publicly posting derogatory photos of Bruce Jenner. As a transgender male, I have no tolerance for personal attacks on anyone and believe this transition should not be given any more media coverage whatsoever. Media representations have the power to either reinforce negative stereotypes or treat these individuals with accuracy and fairness, simply as people with real lives and real issues, like everyone else faces, with the added difficulty of the often negative stereotyping of “transgender”. However, transgendered individuals have been more often than not represented only as comedic relief. It is great to say, that we as a society need to hold the media more accountable for the information it dispenses, but perhaps, more importantly, we need to hold ourselves accountable as part of society for what we choose to believe. The media will not give a more responsible and honest portrayal of transgender characters until the audience demands it – in this case – the transgender community itself. The best way to divert prejudice as a result of media is through education. Despite shows that portray those within the transgender community in a more positive light, as the show Transparent attempts to do, the transgender community continues to fight waves of discrimination in their medical, legal, work, and social lives. When the media puts characters in “drag” and treats them as a “gag”, the larger audience is blinded to the very detailed, painful, and expensive process of transition. Often pronouns used to reference a transgender are purposefully inaccurate as if to say, “Hey, this man thinks he’s a woman. Isn’t that funny?” With this mentality, the larger audience has no idea that many transgender people have not revealed their true identities to even their families for fear of rejection or losing their jobs. Our stories have been used to sensationalize and pull in high ratings to make more money, and the struggles faced by the transgender community are downplayed and treated as if nothing more than comedy props. The idea becomes reinforced by the viewer because they have no other knowledge of what it means to be transgender. 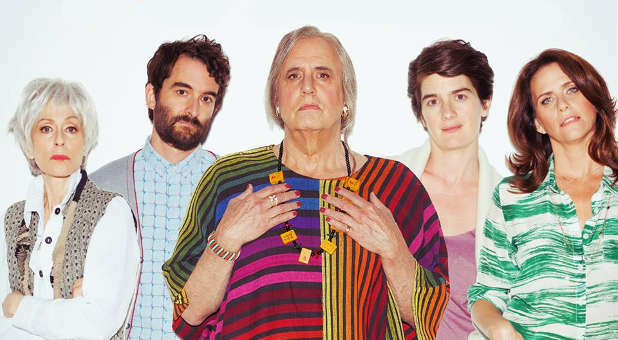 Does Transparent meet the mark of accurately portraying the trans community, the struggles we face, and how others accept us and deal with our struggles within the realm of family and friends? My answer does have to lean more toward the “no”, but I cannot condemn the attempt – it is one of the first of any attempts at realism without the “gag”. Can it be done better? Of course it can, but it could also be worse, and I have seen worse, I have been the brunt of worse, and I have been the one who people cross the street to not have to come into even accidental contact with…so, I can’t completely crucify the show’s creators for their mistakes or their attempts. I am more forgiving. If we want our portrayal to be different and accurate, then it is up to us to see to it that it is. There is an exceptional opportunity for learning in the media and for improvement in the portrayal of the trans community and the issues we deal with in a very real way every. single. day. We have the power to fight prejudice with knowledge. I have that power every single day. Transparent is just a story, a television show about a fictional character – an important one, because it is one of the first told with any degree of thoughtfulness…even if it is not entirely accurate. As a community, we want it to be as authentic and human as we are, but it only tells a small portion of such a large story. If we don’t like the story it is up to us to change it, not just talk about how it needs to be changed. Those of us who are transgender have an excellent opportunity now more than ever, to combine our individual voices and stories to make the world a more diverse and accepting place for not just the trans community, but for every group of people.